Murfreesboro Aviation is pleased to announce our FIRST ANNUAL Poker Run to benefit of THE CHILD ADVOCACY CENTER OF RUTHERFORD COUNTY! A poker run is a great way to kick off the flying season and an excuse to wash the dust from our planes, warm up the engines, and hone our flying skills. The final destination will be KMBT-Murfreesboro Municipal. All cards must be turned in by 2 pm with the winner announced at 2:30 pm. Cost is $50 per hand played. You may purchase more than one hand. Murfreesboro Aviation will provide food and refreshments starting at 12:30 pm the day of the event. The winner will take half the pot with THE CHILD ADVOCACY CENTER OF RUTHERFORD COUNTY receiving the other half. Murfreesboro Aviation will donate $250 to the final pot prior to announcing a winner. 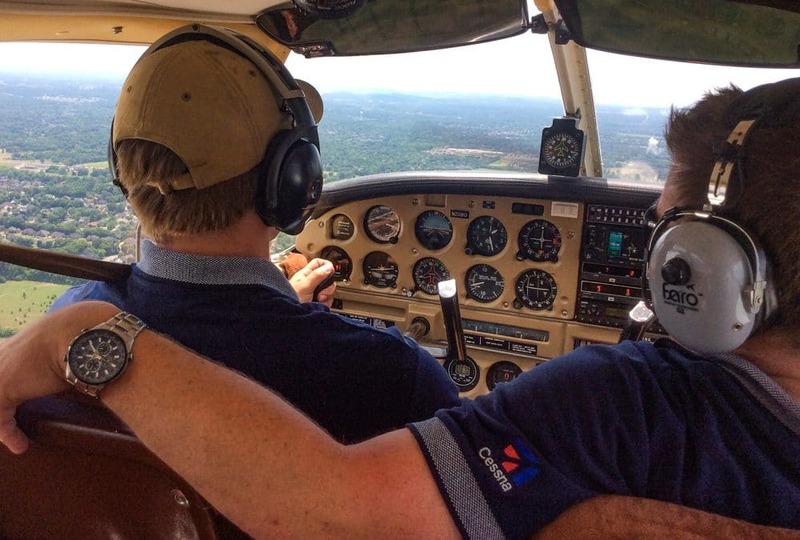 You do not need to be an existing customer of Murfreesboro Aviation. Anyone can participate. Spouses, significant others, kids, family, or friends can participate. The event takes place on Saturday, March 18, 2017. The cards will only be available that day at each airport.If the event is postponed due to weather, the reschedule date will be the following Saturday, March 25, 2017. To participate in the poker run you must be a registered pilot / passenger. Registration for the poker run is now through Thursday, March 16, 2017 at 5:00 pm. Send an email to fly@BoroAv.com. If you are a pilot the names of all passengers that will be in your aircraft. If you are a passenger which airplane you will be flying in. The start location is your home airport. The start time on Saturday, March 18, 2017 is up to you and your passengers depending on your plane, your assessment of weather conditions, etc. The entrance fee is $50.00 per hand (Cash only) (exact change is preferred) and is payable upon arriving at the last airport. All hands must be presented at the last airport (KMBT), no later than 2:00 pm on Saturday, March 18, 2017. You may purchase multiple hands. This is not a race. Your time between airports does not matter. Your primary concern should be safety and the exercise of good judgement and airmanship. For each hand you play, you will get one card at each of the 5 airports. You may NOT trade cards with other participants. This is considered cheating. You and all involved parties will be disqualified and no refunds will be made. You do not need to fly the entire course. Each hand with one card from each airport (5 cards) stands a better chance of having a better hand. There will be a cookout at Murfreesboro Aviation (KMBT) at 12:30 pm. You do not need to participate in the poker run to attend the lunch. Burgers, hot dogs, beans, and other “backyard barbeque”-type food and drink will be served. We will ask all participants not flying in the event to make a voluntary donation to our beneficiary organization THE CHILD ADVOCACY CENTER OF RUTHERFORD COUNTY. The prize for the best poker hand will be ½ the proceeds. You must be present at the awards ceremony which will begin at 2:30 pm at Murfreesboro Aviation to win. The other half of the proceeds will be donated to THE CHILD ADVOCACY CENTER OF RUTHERFORD COUNTY. Murfreesboro Aviation will make a $250 donation to the final pot. Standard 5 card draw poker rules apply. The eligible participant with the best hand is declared the winner. Since each airport has a representation of a complete deck (Cards 1 – 52), it is possible to get 5 aces or 5 twos, etc. In the unlikely event of exactly duplicated hands each player involved in the tie will draw a card and the highest card breaks the tie. The event will be held – weather permitting. Murfreesboro Aviation will send out an email no later than 8:00 am on Saturday, March 18, 2017 to all participants regarding the poker run, any last-minute changes, and if the poker run has been canceled. Be expecting the email and look for it.If the event is postponed due to weather, the reschedule date will be the following Saturday, March 25, 2017. Fly heads up – eyes open – safely and have some fun. Most importantly! Murfreesboro Aviation is hosting this event but assumes no liability for the safe operation of your aircraft and your flight. As PIC of your aircraft, you assume full responsibility. You should check all NOTAM’s, TFR’s, weather, and ensure that your aircraft is in airworthy condition.As a passenger, it is your responsibility to ensure that the person that you are flying with is competent to operate the aircraft. If you are unsure, do not fly with them. You must make this decision for yourself.